Dried fruit is a healthier alternative to refined sugar and just what may satisfy that sweet tooth. Of course not all dried fruit is created equal when it comes to health benefits. The healthiest dried fruits come free of added sugar, although it does impact the sweet factor. 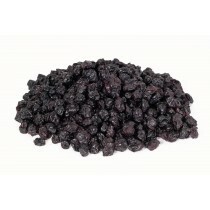 There are also some dried fruits that have natural sugars added that come from fructose, the sugar found in the fruit. In moderation of course, eating fruit is a great way to get needed vitamins and nutrition throughout your day. You can use dried fruit as a quick and delicious way to get benefits of quick energy on those busy and chaotic days. In some cases, as with apricot, eating the fruit dried is the most nutritious way to eat it. You can also use raisins, cranberries, figs, mangos and cherries to increase the yum yum factor of your trail mix, oatmeal, cereal, frozen yogurt, baking, power bars, or to simply savor by itself. Dates, raisins, and figs are also great ways to transform desserts into healthier choices that not only satisfy the sugar craving, but come loaded with nutrition to help the body rather then hurt it. Level 2 Certified processing facility and partners. Texas Star Nut and Food Co., Inc. is Parent company of eatnuts.com. Texas Star Nut was established in Boerne, Texas 2001, and before then the family and other long time employees worked at another, much larger nut company. The founders at Texas Star Nut saw an opportunity to deliver fresh, quality, nuts closer to where the nut is actually grown and to also handle that product with more care. As for the nuts and other products not from around the area, they are carefully selected by our well-trained sourcing experts and brought in on refrigerated trucks that are locked and sealed for safety and freshness. After sourcing, we continue to uphold and preserve the safety and freshness of each nut by packaging the product with state-of-the-art machinery, manufacturing processes and packaging materials. Let us show you the unique differences in each nut. Find out more about SQF here.